The images were taken on a cloudy day outside and inside the shop by a window. 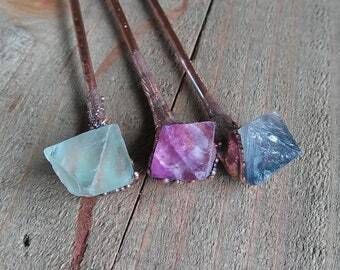 These Hair sticks or pins are one a kind, it takes approx. 48 hours make them from start to finish. I used Copper Electroforming technique, and also applied patina to five of the pins. The Pins are sealed with ProtectaClear to preserve color for a long time. The Raw Amethyst are from Uruguay. Each pin measures approx. 5 1/2 inches long including the stone. #1 Stone Size is 22x11x10mm This one has an Ombre Color to the Copper, it is sealed. 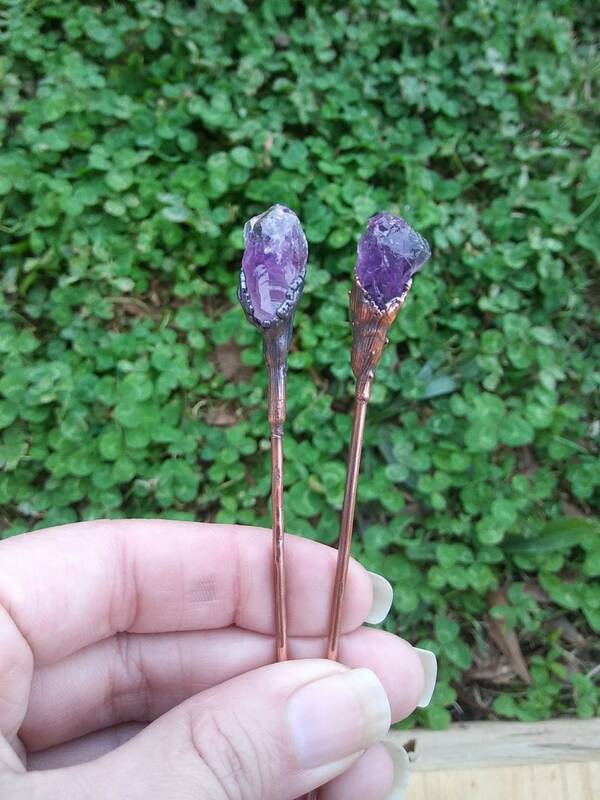 The reason I made these pins by electroforming is because I don't want the stone to fall out and I wanted to create something rustic, I am very pleased on how they turned out. Each is different in it's own way. Each Hair Pin will be shipped in a handmade box ready for gifting.